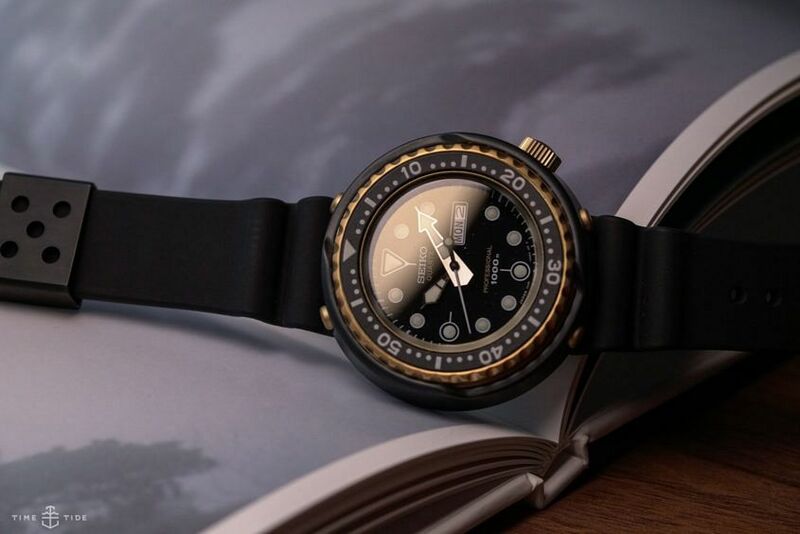 Affectionately named for its tuna-can-for-the-wrist design, the Seiko Tuna collection holds many “firsts” in the dive watch world. From being the first to feature a dual layer construction with a one-piece inner case, to introducing the accordion-style rubber strap. 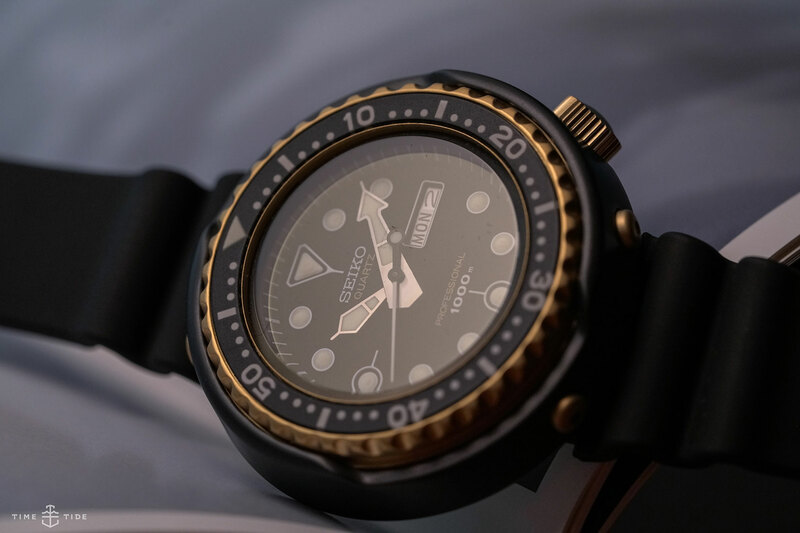 In 1978, it also welcomed Seiko’s – and the world’s – first foray into professional quartz dive watches, with the addition of the 600m “Golden Tuna”. Which you might have already noticed (if you’re any good at maths) is celebrating its 40th birthday at Basel 2018. Seiko have marked this special occasion with the release of a limited-edition re-creation that hits all the familiar notes starting with a 7C46 quartz movement ticking away at its heart. On the outside is a 49.4mm zirconia ceramic shroud that protects the golden-coated titanium inner case. 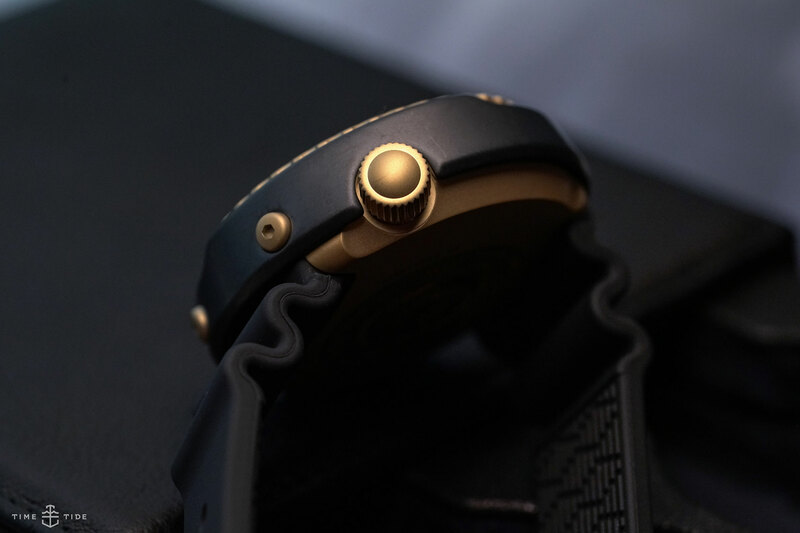 And a screw-down crown that helps secure the 1000m water resistance rating of the 15.4mm thick case. There’s also a separate commemorative limited-edition version that swaps the black ceramic shroud for a golden Cermet protector, and the golden-coloured inner case for a hard-coated black one. Both are of course available with Seiko’s classic accordion-style silicone strap. 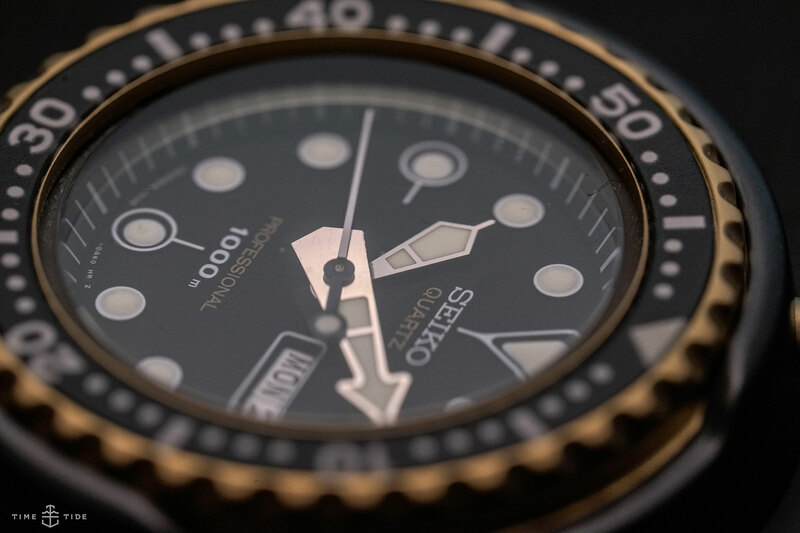 The Seiko Tuna is no shrinking violet; however, with a lightweight quartz movement and a titanium core it doesn’t feel unsteady or overbearing. It’s also a technical piece of equipment that wears everything it has on its sleeves. And strapping it on makes you feel ready to take on the world. Does your everyday life involve safety stops and depth gauges? Then have I got something for you. Or maybe you just want to know that no matter how hairy the situation is, your watch will be able to take it in its stride. Definitely the lightness of the case. The 1978 Quartz Saturation Diver’s Re-creation Limited Edition S23626, limited to 1978 pieces, $3700, S23627, limited to 800 pieces, $5000.